For over 65 years, we've delivered quality hearing care at a competitive cost, including access to the latest hearing aids and technology available. Our office delivers excellent hearing health care to our patients by providing a full range of cutting edge hearing aid technology, state of the art diagnostic equipment and the gold standard of hearing aid fitting, all at fair and affordable pricing. If you are searching for an audiology practice that cares about you and your overall hearing health - look no further. Contact us today! Our team has been helping the Tennessee Valley communities hear better for more than 65 years. We were founded by the Siskin Family in 1953 to give the community an honest and clear path for hearing loss and communication treatment. We know hearing is essential for your quality of life and that your hearing loss is a personal experience. With our team's extensive training we understand that hearing is not a simple function. It’s an experience that encompasses the ears AND brain. Treating your hearing loss goes hand in hand with improving your overall health. When a university-trained audiologist manages the system correctly, you can have clarity, understanding, and ease of listening. From the moment you begin your hearing journey, throughout any life or health changes that may arise, our ongoing relationship empowers you to live your best life and ensures your long term success. 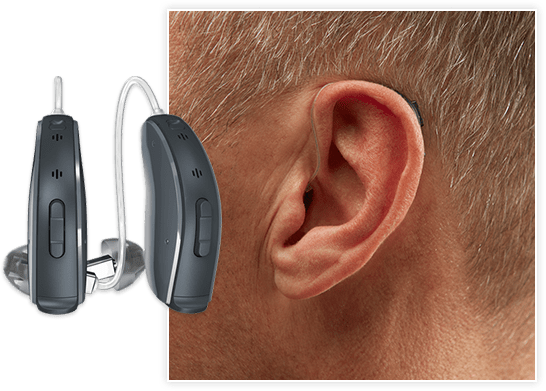 The Speech & Hearing Center delivers excellent hearing health care to our patients by providing a full range of cutting edge hearing aid technology, state of the art diagnostic equipment and the gold standard of hearing aid fitting, all at fair and affordable pricing. We are devoted to blending big city technology with our small-town values of honesty, integrity and respect. We save you time and money in the long run by delivering the best overall value for your investment. Starkey, Unitron, Resound, and Phonak are some of the brand names we have to truly customize your unique listening experience. We evaluate your hearing loss and individual lifestyle and work together to define which hearing aid is best for you. We also offer a full lineup of assistive listening devices, batteries and other accessories. If you are searching for an audiology practice that cares about you and your overall hearing health - look no further, contact us today! *We participate with most insurances.